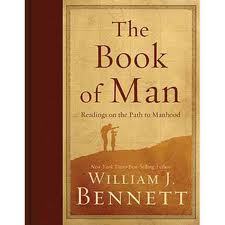 William Bennett added another volume to his series of compilations that he has put out over the years with this volume focused mainly on men’s issues. This book is supposed to be aimed at leading boys to become men. It’s a fantastic idea but the content of this book is most of the time too heavy for young boys including my own who is now 13. What thirteen year old would read a political speech or an ancient Greek philosopher? That said, this is a wonderful compilation of first hand historical sources and classics. I most enjoyed the brief profiles of men that he shares – most of them based on Bennett’s own radio show. But don’t expect to read this book from cover to cover. It’s a reference manual that is to be used from time to time for inspiration and motivation. In that way, to be able to have these resources for reference in the future will be a perfect addition to my library.